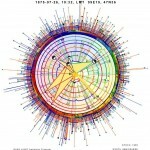 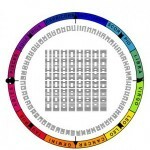 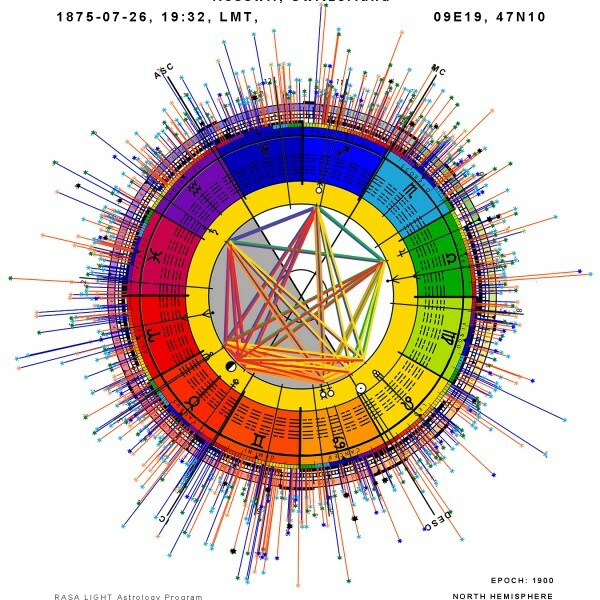 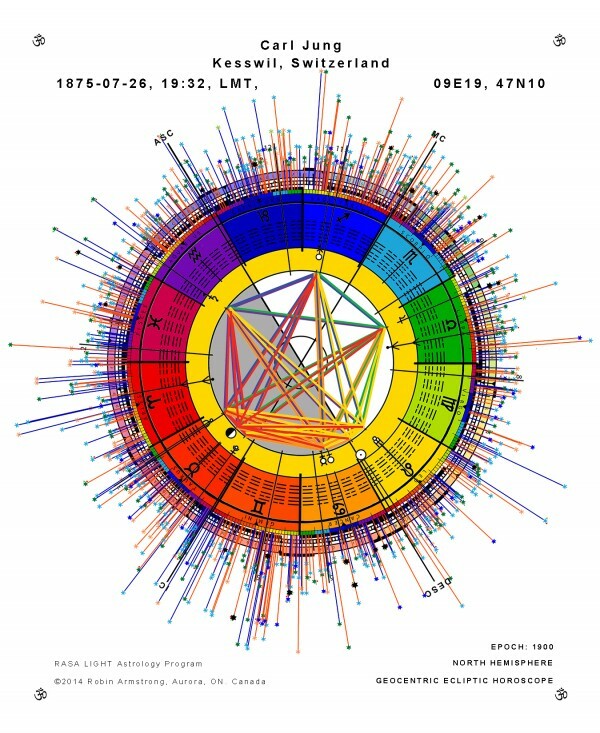 A personal geocentric horoscope graphic that includes the I Ching hexagrams, tropical, sidereal and 745 stars. 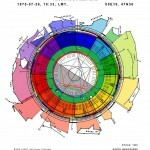 (the aspects are coloured -according to the sign they are in). 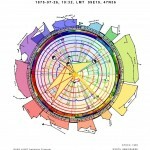 This was inspired by the 7 Rays of Alice Bailey’s Esoteric Astrology.